Two years ago we learned that cinema’s best misanthropic boy, Todd Phillips, was developing a Joker origins movie no one asked for. Then Joaquin Phoenix was named as the star, and while still totally unnecessary, at least it wasn’t DC Films’ worst idea (that was a Jared Leto stand-alone Joker movie). And then we saw Joaquin Phoenix in costume and it was WAY better than Jared Leto so even if a Joker origins movie is unnecessary, it’s still a big step up from Leto’s Juggalo Joker. Now, we have a trailer by which to start judging this Joker movie, called Joker, and you know what? I don’t hate it. This is a really good trailer. 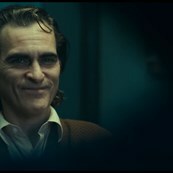 Joaquin Phoenix looks GREAT in the final Joker look, and he looks sad and pathetic and minutes away from breaking apart the rest of the time, which fits the Joker. Of course, we can’t completely trust it because DC is REALLY good at trailers but they don’t always deliver with the final movie. 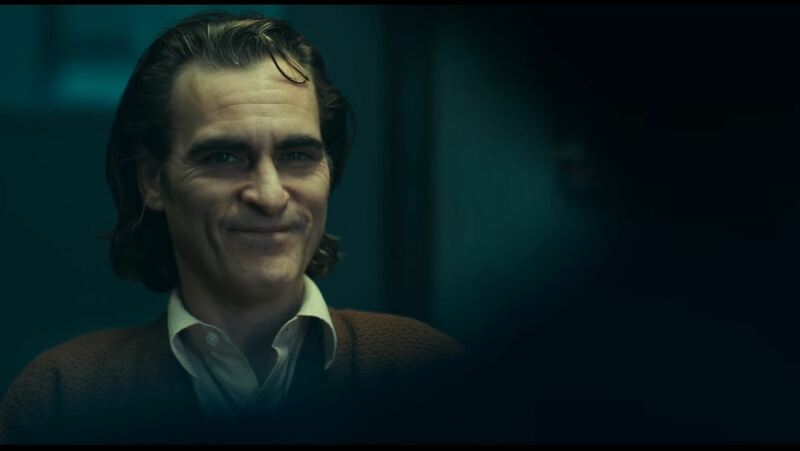 And Todd Phillips does not have my confidence as a filmmaker, so I remain cautious, but at least the casting of Joaquin Phoenix as the Joker seems spot on. For now, that’s enough to get behind this movie. We won’t know whether or not Todd Phillips can hold this movie together until we can see the whole thing in October, but after this first look, I feel better about Joker than I have since it was announced. Oh it’s still totally unnecessary, we do not need to know the Joker’s backstory and he is not a character designed to carry that narrative load, but if they’re going to do it, let’s hope it’s good. After this first look, I feel like it might be good? Right now, it doesn’t seem like a literal adaptation of the famous Joker comic The Killing Joke—it looks more like The King of Comedy, frankly, complete with Robert De Niro appearance—but there is a clear Killing Joke influence on this movie. It’s not just the Joker’s costume, which looks less Party City in action than it does in still photos, it’s the overall attitude and tone. The thesis of The Killing Joke is that you’re just one bad day away from becoming the Joker, and that appears to be the set up for Phoenix’s character, Arthur. He’s living an unappreciated life, caring for his ailing mother and beset and beat down by the world at every turn, literally assaulted by people everywhere he goes, and he has a weird fixation on clowns. I do hope there is more to his evolution than “bullied mama’s boy with repetitive head injury syndrome turns into homicidal maniac”, but I also feel like, OF COURSE that’s the page from the serial killer playbook Todd Phillips would latch onto. It’s the most obvious, and he is not a subtle filmmaker. Still, for now, it’s a tentative “looks good” from me. I am never going to believe we actually need this movie or that anyone really cares about the Joker’s backstory, but it’s happening, it’s here, it’s better for everyone if it’s a good movie. This teaser certainly raises some hope that Joker can be good. I’m intrigued enough by Joaquin Phoenix to hope this works out and he can do something special with this character, which does reside high on the curve thanks to Heath Ledger. (I already dread the fan theories that try to connect this Joker to Ledger’s Joker, because Ledger’s character was purpose-built with no backstory.) I am also dying to see Joaquin Phoenix at Comic-Con, I really hope that’s part of his Joker deal. Fully half the enjoyment of this movie is going to be watching Joaquin Phoenix cope with a comic book movie press tour. That might be enough to turn him into the Joker for real.